Little Miss Perfectionist: How to fill in eyebrows and make them look natural and fab! How to fill in eyebrows and make them look natural and fab! So this trick is one I started using about 9 months ago. I got rid of the old method I used to use which was using a liner pencil since this way is so much nicer and more natural looking. When using a pencil, I find it easy to end up with blotchy filled eyebrows or chunkier areas that make the brows look drawn into, not a good look... I have fairly full eyebrows, but every now and then when I want more shape or If I need to fill in any gaps from falling eyebrow hairs, I use this trick to fill in my eyebrows so they look perfect! The first step to beautiful eyebrows is shaping and plucking, once that's done, you want to simply grab one of your handy eyeshadows, a Liner or Brow brush (I use one from Quo that was about 15$, previous post on the brushes I use can be found here) and I finish off the blending of the brow with an eyebrow brush (which as you can see in the image above, I prefer to use a baby toothbrush to brush my brows since it works fabulously, a post on this trick can be found here). When selecting the color of eye shadow for the filling process, I always use a color lighter than my brow. I personally use a brown that isn't too dark (I avoid any reddish tone browns or else I find it looks clowny), and my eyebrows are naturally dark dark brown, almost black. I find that if you use a color the same color or darker then your natural brow color, it ends up looking way over done and ridiculous. Just dab your brush lightly on the surface of your eye shadow (make sure you only put a bit at a time) and start filling and shaping your brow by brushing it in a little at a time. 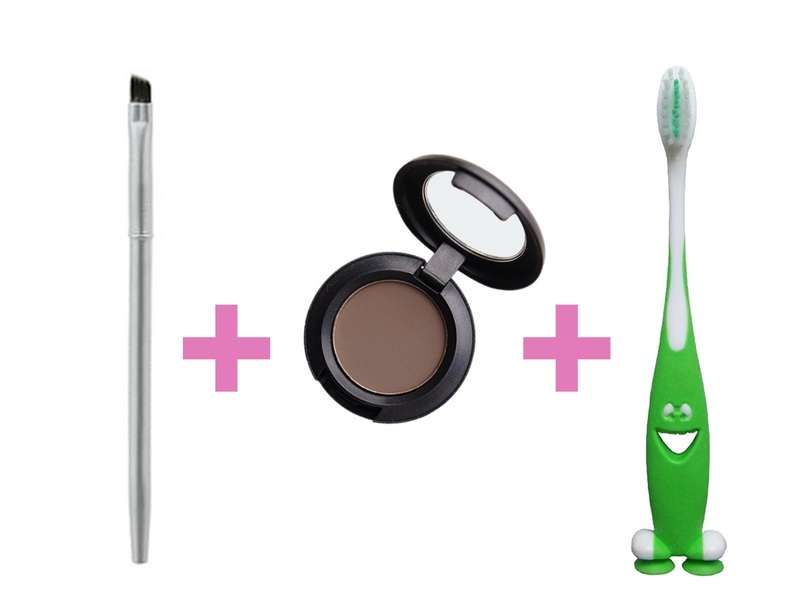 Once your happy, use your eyebrow brush to brush them out and blend the color to give it the most natural look possible. Voila! A beautifully filled brow!